13/04/2019: Mrs T's may be a little off the beaten track but is well worth a visit. The fish and chips are cooked fresh to order, eat in the restaurant or outside on the river bank if the weather is fine. We look forward to eating here whenever we have a day trip to Southwold. 10/04/2019: We’d never been to Southwold before and we’re just having an amble when we came to the harbour, then the choice became cook your own tea or fish and chips, no contest really! We had to wait a while as everything is cooked fresh to order, best chippy tea we’ve had in a long while. 06/04/2019: Stayed in Holt, which is a great place. Alberts fits in with the feel of the town perfectly. Great meaty cod and perfect chips. 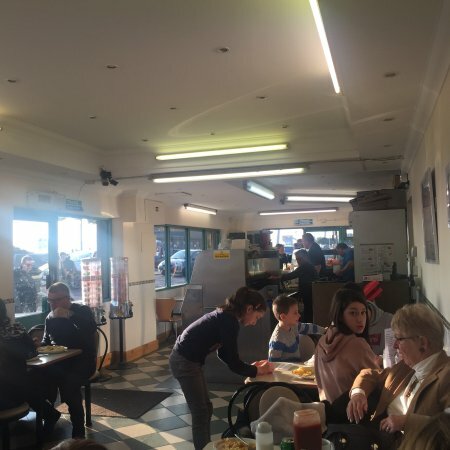 15/03/2019: I used to love Albert's when Barry Woods ran it now however its too expensive under new ownership and you don't get much! 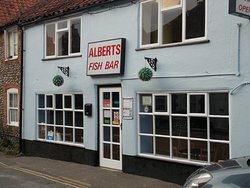 Now with a Chippie opening in the former Glo Glo salon on Fish Hill and I've been to there great Chippie in Thornham so I welcome Eric's Fish and Chips to the town and I won't go to Albert's again!! 23/03/2019: Came across Pete’s, on a unplanned visit to Holland on Sea. Had the lunch menu, cooked freshly and very happy with service and food first class. 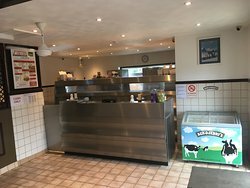 Will certInly visit this friendly and bright chippie again. Thank you Jean and Tom. 10/03/2019: We went in to get out of the rain and to warm up but we were glad we did. It had a lovely atmosphere. Staff were very welcoming and the coffee was great, made just as we asked. It is very small inside. We had to go upstairs which is an equally cosy space. 25/01/2019: La mejor cafetería de la ciudad, con una amplia variedad de bocadillos, sándwiches, ensaladas, junto con una multitud de bebidas suaves y calientes, tiene muchas opciones. Buena ubicación en el centro de la ciudad, pero sobre todo excelente personal que es amable y servicial. 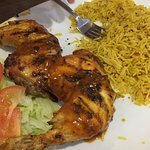 27/01/2019: Really friendly staff, amazing food and good value for money! 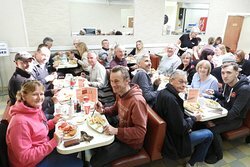 We had it as a family meal and everyone really enjoyed it! 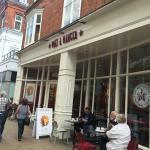 18/01/2019: Visited here recently and tried the gluten free rock and chips. My order was freshly cooked and served within 12mins of my arrival. The food was outstanding, the staff very friendly. I will be back again and would encourage other coeliacs to give it a go. 13/04/2019: We don't use anywhere else now. Always going to this chippy. Skinless fish and gorgeous chips, whatever you do, go there. 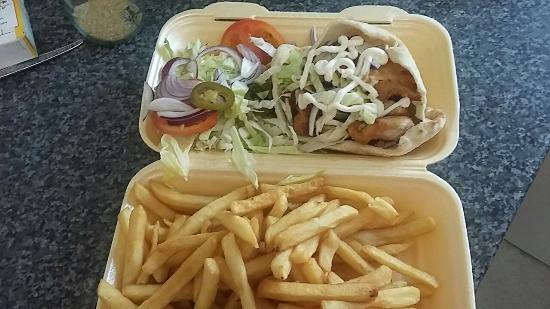 Eat in or takeaway, you choose. We do both, 5 stars. 16/04/2019: We popped in for some food before heading out around Southend. The staff were really friendly and polite. The food was nice too. 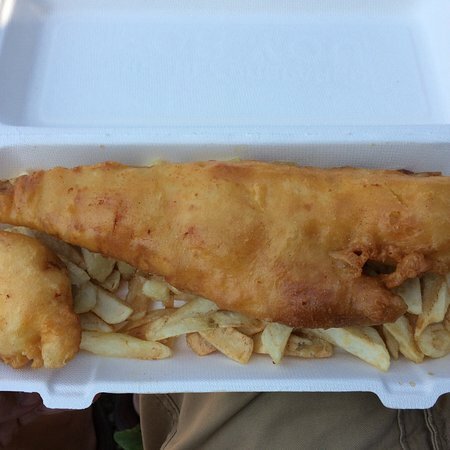 29/03/2019: I had J’s seniors cod and chips and they were delicious, massive fish and plenty of chips.Will definitely have again. 12/01/2019: Good honest chippie. Medium fish and chips is more than I could eat, the portion size is very generous the fish (Haddock) cooked well and huge, the chips have some flavour from a good variety of potato. 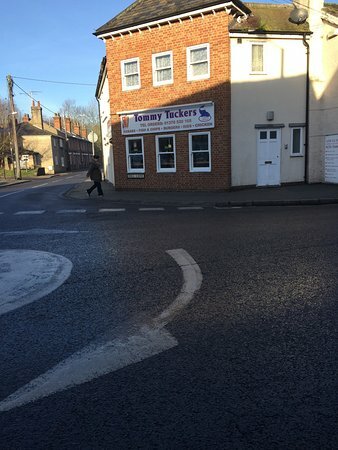 13/04/2019: The best fish and chips in Flitwick. Large portions and beautifully cooked. Always busy so the fish and chips are constantly cooking and so fresh. Very friendly and chatty. 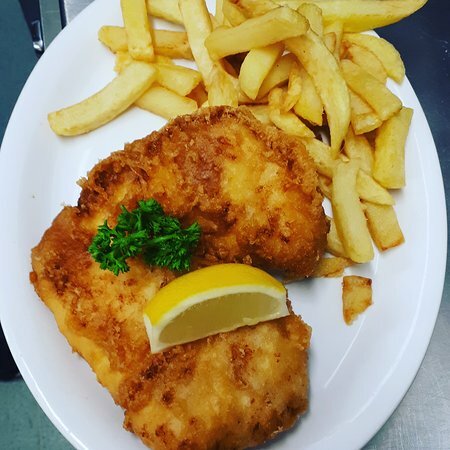 04/04/2019: Wonderful gluten free battered cod, beautiful thin and crispy batter, great chips and a good cup of tea, what a treat after many years being coeliac and having to avoid fish and chips this place is a treat to go to. 11/03/2019: We have been here many times and we have never been let down. The restaurant is basic and clean. The waiter who is usually serving has a very relaxed and friendly way with the customers. He is very organised and the tables are cleared and cleaned as soon as the customer has finished. 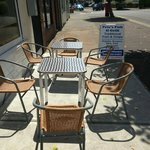 The quality of the food is excellent and not overcooked. The chips are crisp as is the batter covering the fish. We have had both the cod and haddock and they are both well worth trying. The mushy peas hit the spot! My wife and I usually have the regular sized portion each and that is enough for a filling and nutritious lunch. The coffee is instant but who cares, this is not fine dining and seems to go perfectly with the meal. 19/01/2019: See Title! Nothing else to say really. Awesome food every single time. Dont bother with the rest. Real quality food provided. 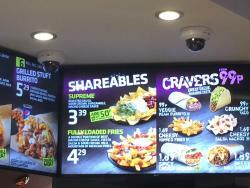 25/03/2019: My first and probably last visit to Taco Bell.No greeting or welcome from staff at entry.I ordered the box meal,beef taco,chicken burrito,fries,and churros.beef taco contained virtually no beef,just a literal smear at the bottom of the small taco chicken burrito contained almost no chicken.barely any taste of chicken or beef in either item.churros overcooked and dried out.Very bland ,not spicy at all.almost zero beef or chicken.Really disappointed.overall a very bad experience feel like ripped off was so bad.